Sister Kathryn Welch, OP (Peter Thomas), 80, died June 4, 2015, at St. Dominic Villa. Mass of Christian Burial will take place at 10:30 a.m., Tuesday, June 9, 2015, at Queen of the Rosary Chapel, Sinsinawa, Wis., followed by burial in the Motherhouse Cemetery. Friends may call after 5:15 p.m. Monday, June 8, at the Motherhouse where a wake and remembering service will take place at 6:30 p.m.
Behr's Funeral Home, Dubuque, Iowa, is in charge of arrangements. Sister Kathryn specialized in teaching children in the primary grades for 39 years. Six of those years she was prioress of the local convent. She taught in Faribault, Minn.; Chicago and Lemont, Ill.; and in Dubuque, Iowa. Sister Kathryn joined the support staff at the Motherhouse, serving in the mailroom for 17 years. She spent the past few years enriching community life at the Motherhouse and at St. Dominic Villa. Sister Kathryn, born May 19, 1935, in Oshkosh, Wis., to Ibelle Russell and Peter Welch, made her profession Aug. 5, 1955. 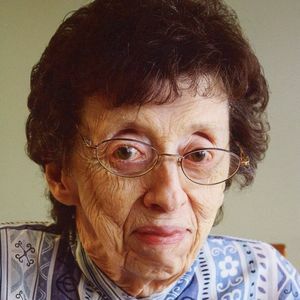 Sister Kathryn is survived by her brothers James Welch, Peter Welch, Timothy Welch and Daniel Welch; her sister, Martha Hildebrand; nieces; nephews; and the Sinsinawa Dominican Sisters with whom she shared life for 59 years.